Extremely efficient and timely service by Apollo Cradle. 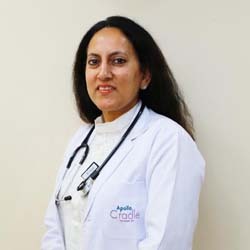 I was admitted here under the care of Dr Namita Kapoor; needless to say, we did not face any problem. The procedures were timely and were communicated thoroughly to us beforehand. There was no hassle whatsoever. There is greater coordination among staff members and the entire team at the hospital. Great work by Apollo.